Anwala is a highly effective herb used in making ayurvedic medicines because of its miraculous actions. Known as Emblica in biological terms and amlaki in Sanskrit language; it is richest natural source of vitamin C.
Digestive system: Improves appetite, cures indigestion, acidity, constipation, gastric troubles, and flatulence. Also helps in restoring mouth taste and promotes salivation. Helps in improving liver function, heals gastric ulcers & piles. Circulatory system: It is of great importance to heart. It reduces toxins in the body; checks the plaque formation in arteries. It helps in producing good quality red blood cells. Helps in lowering cholesterol and blood sugar level. Respiratory system: It is very helpful in reducing kapha, hence very helpful in throwing out sputum from the respiratory tract. It gives very good results in chronic cough, child hood and allergic asthma and tuberculosis. Nervous system: helpful in providing nourishment to the nerves and is helpful in paralytic conditions. It also works as brain tonic and helps to enhance our senses, memory & reflexes; Also helpful in calming the mind and easing mental tensions/stress. It also improves general intelligence level of a person. Reproductive system: Improves quality of sperms, curbs the vaginal discharges,tones and provides strength to the female genital tract. Treatment of conjunctivitis and glaucoma; Reduces interocular tension. Did you know Anwala or Indian gooseberry is considered as a terrific brain booster...a very good fruit for enhancing memory!!! 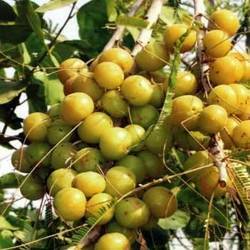 Aanand Kapoor: "Amla is the richest source of vit C available naturally. It contains nearly 445 mg of vit C per 100 grams weight. It also has gallic acid, ellagic acid, kaempferol, and flavonoids; it has been found to have antimicrobial and antiviral properties. 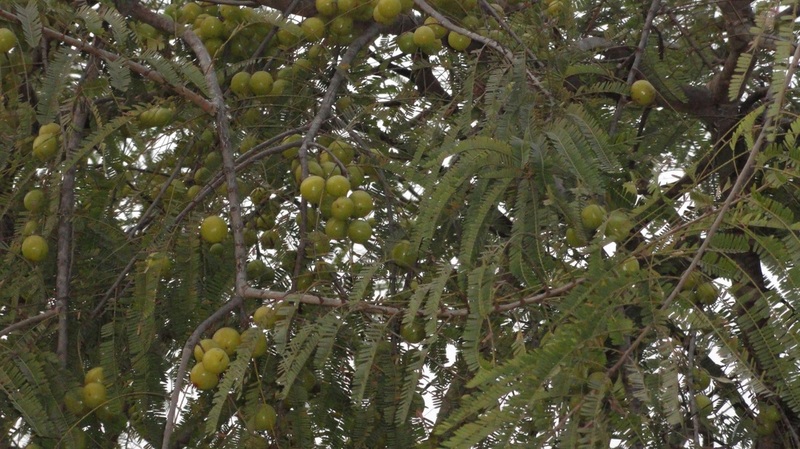 Amla has been used to cure diseases like osteoporosis, arthritis, and pancreatitis; also cures diabetes, inflammation, age-related renal diseases, and high cholesterol.